At the Sea Turtle Initiative reception held at USF St. Petersburg, many of the city’s advocates of sustainable and ecologically conscious development traded and shared ideas for new projects and possibilities. One of the most interesting was inspired by the Sunshine City’s need for improved energy conservation, especially through the summer months. 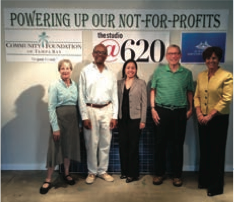 For Dr. Peter Betzer, retired Professor of Chemical Oceanography and President of the St. Petersburg Downtown Partnership, this need has been addressed by an organization he named Powering Up for our Non-Profits. Dr. Betzer explained that electricity is a significant component of most non-profit organizations’ building and operation costs, just as in any business. This is particularly noticeable in our steamy summer months when air conditioning is at a premium. 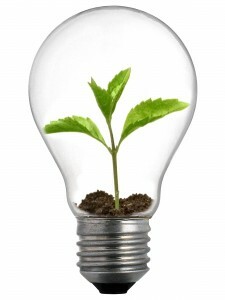 However, unlike a business that can often more effectively consider the long-term benefits of investing in energy savings, most non-profits are strictly “mission-focused.” Relying on donations to support the organization, they often find it difficult to devote funds to improving energy efficiency. And that is exactly where Powering Up for Non-Profits steps in. The fund grants money to local non-profits to be used to conserve energy and reduce energy savings. The money can be used for improved LED lights that burn more energy efficiently, windows that deflect warming sunrays, or even the installation of solar panels that harvest the sun’s light for electricity. The fund is also clearly open to suggestions about how to better save energy costs and increase renewable energy sources. In essence, Powering Up is paying up front the benefits of turning to better energy use. With significantly decreased power bills each month (and much more ecologically conscious energy use) a non-profit can quickly reap the benefits of the investment. However, instead of having the non-profit immediately receive the financial advantages of turning to more effective energy savings, Powering Up requests half of all the money saved be returned to the initial fund. This way the fund can then move on to help the next non-profit with energy savings and a decreased carbon footprint. By continually paying forward the advantages of better lighting or windows and smarter energy sources, the fund both helps current non-profits and also assures it can perpetuate its ability to help other non-profits.